Christopher Kiver joined the Pennsylvania State University faculty in 2005, and directs the Penn State Glee Club and the Chamber Singers. Kiver also teaches classes in choral conducting and choral literature. He is a graduate of the University of London, Florida State University and the University of Michigan where he received the D.M.A. in choral conducting. A native of the United Kingdom, he has received numerous prizes and scholarships including a Fulbright Award, and the 2002 Sydney World Symposium Foundation Scholarship. In February 2006, he was a double Grammy Award winner ("Best Choral Performance" and "Best Classical Album") as a chorus master for the critically acclaimed Naxos recording of William Bolcom’s monumental Songs of Innocence and of Experience. Choirs under Kiver’s direction have performed at state and regional conventions of the American Choral Directors Association and the Music Educators National Conference. He is President-Elect of the Pennsylvania American Choral Directors Association, and has taught at the Westminster Choir College Summer and Saturday Seminar programs, and appeared as guest conductor, clinician and adjudicator in the United States, Australia and New Zealand. Justine Favell is a graduate of the Queensland Conservatorium of Music with the awards Bachelor of Music and Graduate Diploma in Piano Performance. Since 1995, Justine has pursued her interest in the specialized area of accompanying choral music. She is the principal accompanist for Voices of Birralee, Brisbane Chorale, freelances with The Qld Orchestra and is on staff at the Qld Conservatorium as accompanist for the Vocal Lecturers. Justine also enjoys conducting the Junior Birralee Choir, various school choirs and the adult community choir, Hillbrook Chorale. Paul Holley is a graduate of the Queensland Conservatorium of Music where he studied conducting with Dr John Nickson. He has had extensive experience directing school, church and community choirs. 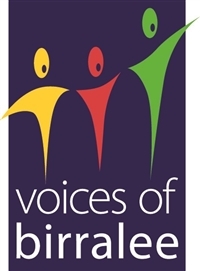 Presently Paul conducts two ensembles for Brisbane Birralee Voices, The Birralee Blokes - the ABC Classic FM Choir of the Year - and Resonance of Birralee. 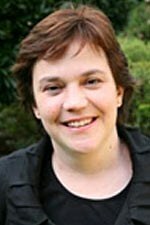 In addition to these two ensembles he is also Director of Choral Music at Brisbane Girls Grammar School. Paul is dedicated to excellence in choral education and regularly features as guest conductor/clinician at festivals, conferences and music competitions. In 2007 Paul joined the conducting team of Gondwana Choirs as the Principal Guest Conductor of Gondwana Chorale. He serves on both the Australian National Choral Association National Executive and is the Qld/NT chapter President. In 2007, Paul was awarded a Lord Mayor’s Australia Day Achievement Award for his services to the choral community in Brisbane and the 4MBS Music Teacher of the Year Award. 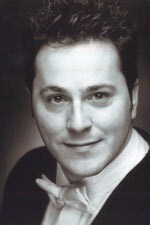 Canadian born tenor Robert Stewart is co-founder and conductor of the Exaudi Youth Choir. He began early studies in conducting with Dr Kevin Langford, renowned conductor of the Rotary Boys Choir. Robert was a voice student at Mount Allison University where he studied choral conducting with Carlton Elliot and choral literature with Dr Willis Noble. He received a Master of Music (Opera) from the Royal Scottish Academy of Music and Drama and is also a graduate of the University of Toronto (Bachelor of Music in Performance; Advanced Certificate in Performance). As an undergraduate he studied orchestral conducting with Dwight Bennett and served as section leader and assistant to Dr Doreen Rao. He has also performed with some of the world’s foremost conductors including: Sir David Willcocks, Sir Philip Ledger, Dr Elmer Iseler, Dr Lydia Adams, Robert Spano, Marc Minkowski and Raymond Leppard. As a performer Robert has twice been a finalist in the Mietta Song Recital Award and recently appeared in the New Zealand Opera’s production of Carmen. He also performs regularly at St John’s Southgate as part of their Bach cantata series including performances with Bach’s successor, Thomaskantor Christoph Biller. A former Vocal Fellow at the Tanglewood Music Center he participated in masterclasses with Pierre Valet, Phyllis Curtin and Ernst Haefliger. While at Tanglewood, he performed Bach’s Selig ist der Mann with American Bach scholar Craig Smith and members of the Tanglewood Music Center Orchestra. Recent concerts have included appearances on ABC Classic FM, the Ruskin Hall Recital Series and the Melbourne Chorale. Robert teaches at the University High School where he conducts the Cantabile and Chamber Choirs. He has served as choral conductor, voice teacher and French diction tutor at Monash University, the Melba Conservatorium and the Victorian College of the Arts. He also Robert is currently completing a Master of Teaching degree at the University of Melbourne- investigating boys’ participation in classroom singing programmes. Lyn Williams is Australia's leading director of choirs for young people, having founded Sydney Children's Choir in 1989, the national children's choir Gondwana Voices in 1997 and the Gondwana National Indigenous Children’s Choir in 2008; as well as Gondwana Chorale, Gondwana Singers and Junior Gondwana. Her exceptional skill in working with young people is recognised internationally for its high artistic quality and ground-breaking innovation. Lyn has toured extensively with her choirs to Europe, Asia, North and Central America. In addition to her work with young people, Lyn Williams has been Music Director and Conductor for a number of major national events and conducted many major professional choirs and orchestras in Australia. In January 2004, Lyn was awarded Medal of the Order of Australia (OAM). Lyn is a Churchill Fellow and also a composer. In 2009 she won the APRA-Australian Music Centre Vocal / Choral Work of the Year. 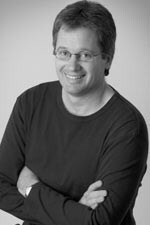 Craig Woodland graduated from the NSW Conservatorium of Music in 1986 with a Bachelor of Music Education with an AMus on Piano. Craig has performed as a soloist and accompanist in the US, England, Germany, Russia, Holland and throughout New Zealand and Australia. 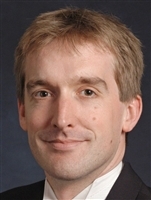 From 1986 – 2001 Craig was Academic Coordinator at Sydney’s Methodist Ladies College (Now MLC School). In 2002, Craig relocated to Canberra to take up the position of Director of Music at Canberra Grammar School. Brendan Murtagh completed a Bachelor of Music majoring in Piano at The University of Queensland, graduating with honours in 2008. He studied with renowned concert pianist, Max Olding. Brendan is a sought-after accompanist throughout South East Queensland and has performed extensively with Voices of Birralee, both nationally and internationally. He is on staff at the Young Conservatorium of Queensland, and has been rehearsal accompanist for The University of Queensland Chorale. Brendan’s experience in music theatre includes performing in the Brisbane seasons of Chicago, Cats, Avenue Q and Wicked at the Queensland Performing Arts Centre. Most recently, he joined Opera Queensland’s Moving Opera! team as the Music Director. Brendan’s other passions include church music and choral singing. Simon Carl received his Bachelor of Music with honours from the University of Queensland in 2004. Since then, he has accompanied numerous school choirs, and is currently the principal accompanist for community choirs ‘Chordiality’ and ‘Southern Cross Voices’. Simon accompanied the Wellers Hill Vocal Group in their well-received performances at the 2010 ISME symposium in Beijing last year. Simon brings a lifetime of choral experience to his work as an accompanist and is delighted to be involved in the Pemulwuy! festival.